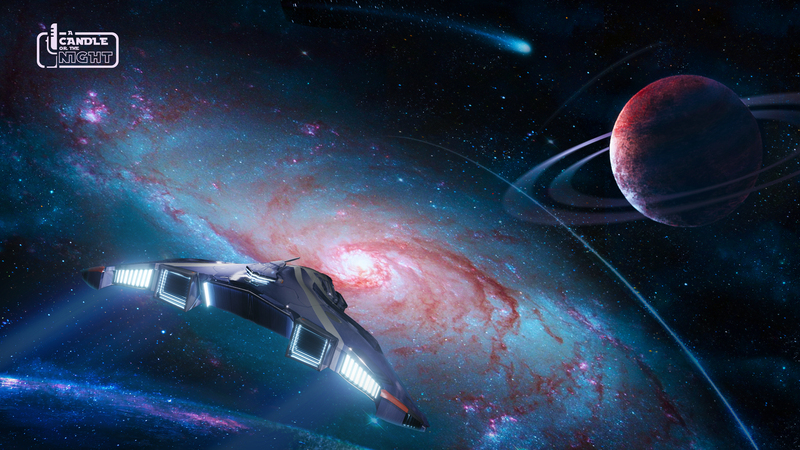 Our Heroes’ voyages take them to the farthest reaches of the Galaxy. These scenes capture some of the mystery, wonder, and imagination of their epic journeys. From the jealously guarded secrets of the Deep Core, to the wild frontiers of the Outer Rim, to the uncharted expanse of Wild Space… lost knowledge, diverse peoples, and unpredictable adventures await! Slide 1: (Artist: Lada Shustova) The “Errant Seeker” navigates the fringes of deep space.